At the Tokyo Game Show today, Final Fantasy XV director Hajime Tabata answered a whole bunch of questions about the game. We learned new things! Such as..
- They will not include Japanese and English language voice tracks on the disc, because apparently, they can’t fit both on the physical game. But according to Hajime Tabata, he’s thinking of offering the extra language tracks via download. 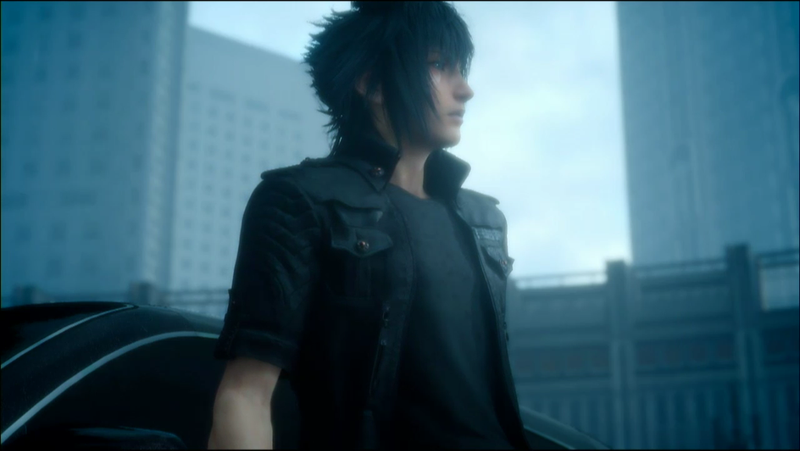 - When it rains, the sunroof for Noctis’ car automatically closes. - Square Enix is considering offering Gilgamesh as DLC. - There are no Moogles in the game, because they wouldn’t fit in with the game’s atmosphere. - Chocobos can be rented for ten to thirty days. You will need gil to rent them. While you’ve rented them, you can call them at any time, and they’ll appear. - Right now, the team is focusing on developing FFXV, incorporating feedback from the Episode Duscae demo, which is why there isn’t a new playable version yet for the public. - There are quest-like mini-games called “activities.” This include Chocobo races. - You can’t combo with guns, but you can rapid fire with them. - Square Enix is considering costume changes for the characters. This might be limited due to the contract with the fashion label who created the characters’ outfits. - Fishing will have various rod and lure types. - Square Enix is aiming for a Teen-rating for the game. - You can pre-set your four weapons and then change them in real time during battle. - There will be a game mechanic that is similar to Limit Breaks, but it will be called something else. - You cannot breed or raise Chocobos. - Chocobo’s dash and jump improve by feeding them while camping. - You cannot enter every single building in the game. - FFXV has one new magic spell. - There is a photo mode. - It’s possible to level up your cooking skills. - Tabata said they do want airships, but if Square Enix cannot offer a new experience, players won’t be able to get airships. - However, Square Enix is currently developing a side-quest with airships. If it doesn’t meet the team’s standards, it will be cut from the game.